Despite it being less than a month since our season finished, a number of our players have already jetted across the globe as their winter schedules begin to take shape. 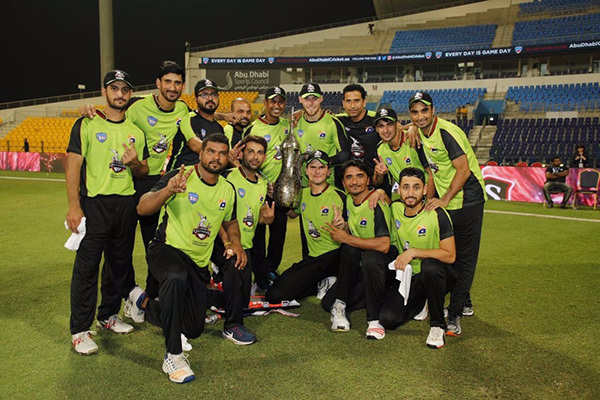 Phil Salt and Laurie Evans both enjoyed excellent starts to their time abroad, with Salt playing a starring role as Lahore Qalandars won the Abu Dhabi T20 and Evans continuing his stunning white ball form with Kabul Zawanan in the Afghanistan Premier League. In Thursday’s Abu Dhabi T20 opener, Lahore came up against Yorkshire Vikings, and after opting to bowl first with Salt wicket-keeping, restricted their opponents to 184. In reply, experienced captain Sohail Akhtar led the chase, but was dismissed straight after he reached an excellent 100 off 56 balls. That meant Salt was in charge of leading the Pakistani side home, and did so in brilliant fashion. A thrilling 31 off 20 balls from Salt had Lahore on the brink, before our Young Player of the Season smashed a six off the bowling of Tim Bresnan to earn his side an opening win and finish on 37* off 21. On Friday, the Qalandars faced a young Hobart Hurricanes side, knowing victory would secure their spot in Saturday finale, and elected to bat first having won the toss. Young Mohammad Faizan impressed with the bat, scoring 58 off 44, and Salt, batting at five like he had the night before, added 15 off eight balls to see Lahore finish their innings 181-6. Hobart struggled to ever get going, with Farzan Raja excelling with the ball and taking 4-24. In the end, Lahore eased to victory, beating their Australian counterparts by 35 runs. In Saturday night’s final, Salt’s side came up against Multiply Titans, and were put into bat by the South African team that had beaten already beaten Auckland Aces and Boost Defenders. Akhtar produced another excellent captain’s display to score 56, before Salt came to the crease and added what proved to be a vital 26 off 15 balls to see the Qalandars set their opponents 149 to win. After a fast start, the Titans were slowed down by the bowling of Mazz Khan and Shaheen Afridi, and eventually Lahore held on to win an exciting match by 15 runs. In the UAE on Friday night, Evans continued the excellent form he showed in the Vitality Blast during Kabul Zawanan’s opening match of the Afghanistan Premier League, by scoring 79* off just 39 balls in his side’s victory over Paktia Panthers. Kabul, who are captained by Evans’ fellow Shark, Rashid Khan, opted to bowl first and for long periods that looked to be a risky decision as the Panthers started well, with Mohammad Shahzad scoring a quickfire 67. Sikandar Raza was also in exciting form, finishing 78* off 40 balls, as the Panthers set Khan’s men a daunting 219 to win. Kabul’s chase got off to a bad start as Luke Ronchi was dismissed early on, and Zwanan wickets continued to fall throughout the innings, but Evans held the chase together with a quite brilliant 79* which included five fours and six sixes. The Englishman hit the winning runs with his final four, and was deservedly named Man of the Match as Kabul won a thriller by three wickets with five balls remaining. Evans was in similarly brilliant form on Saturday night, and was joined at the crease by Khan as the pair sent sixes soaring out of the ground against league leaders Balkh Legends. On a tricky pitch, Evans (64 off 47) and Khan (56 off 27) were the only Zawanan players to really impress with the bat, with Javed Ahmadi the next highest scorer with 21 off 18. 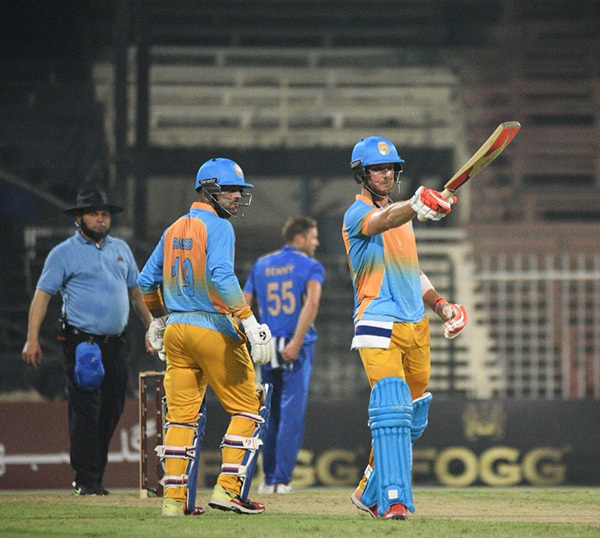 When Evans was eventually dismissed, Muslim Musa added one more run as Kabul set their opponents 177 to win. Khan produced some early magic to take the wicket of Colin Munro, but further breakthroughs were hard to come by and the Legends got over the line to win by eight wickets with seven balls remaining. Tymal Mills was also in action in the APL over the weekend, playing for the Kandahar Knights in their opening clash against Nangahar Leopards, but couldn’t prevent his side from losing by six wickets.